NOV Mono’s InviziQ pressure sewer system (PSS) has been a success on the Pitt Town housing project in New South Wales, Australia. 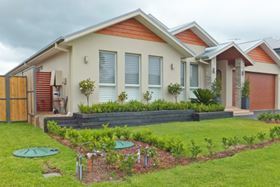 The Pitt Town project is being built in stages, and with over 200 houses already connected, the impressive performance of the InviziQ system has already surpassed the expectations of the utility operator. Recently certified by the Water Services Association of Australia (WSAA), the InviziQ system provides sufficient removal of sewage from individual households. Sewage is taken from each property and reduced to a workable slurry, which can then be easily transferred for treatment. “We are basically getting no screenings at all. We were initially worried that they were building up in the mains, but we flushed them and found nothing. When we checked the bioreactor further upstream we found that no screenings had bypassed the InviziQ pumps. The Mono equipment seems to be grinding everything up,” says Andrew Horton, the Executive Manager of the Pitt Town project utility operator, Flow Systems. Many more InviziQ tanks have now been installed ready for new houses to be added on the project, which will eventually feature 940 dwellings. Sewerage from the properties is collected by the InviziQ system so that it can be treated using Membrane Bioreactor technology. This produces cleaned water which is then used by the houses for toilet flushing, laundry and irrigation purposes.